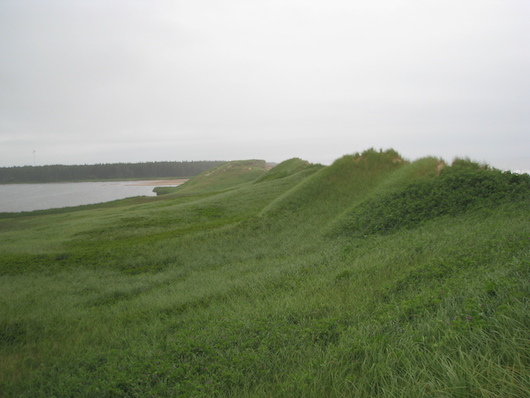 Cavendish is one of the most popular spots to visit in Prince Edward Island National Park, owing its connections to L.M. Montgomery, red sandstone cliffs, great beach, and multiple trails. Much of the 12 km of trails in this area is great for running. 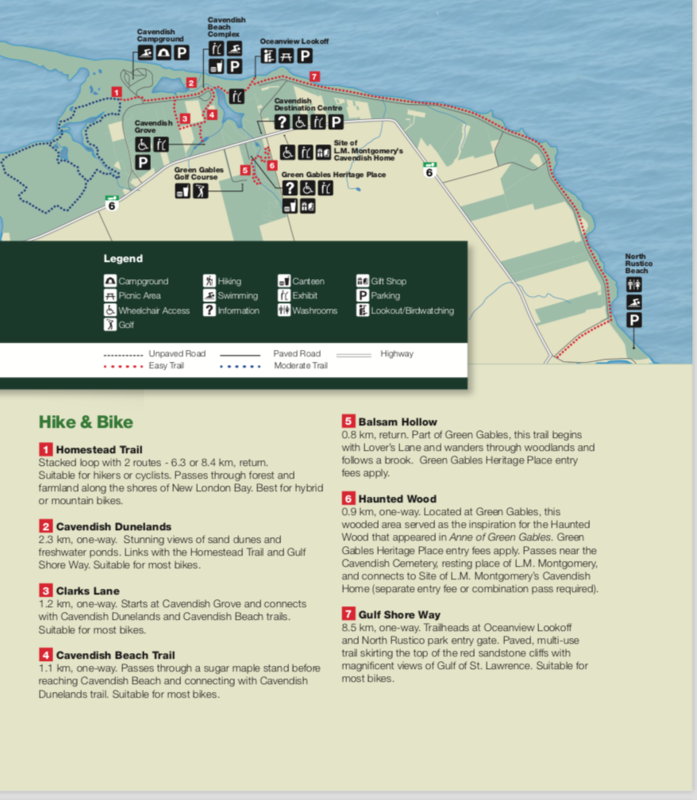 A highlight is the Cavendish Dunelands Trail, which is a paved and boardwalk type surface through gorgeous dunes. It’s 2.3 km one-way. Start at the Oceanview Lookoff or Cavendish Beach. Note: Admission charge. Homestead Trail. A little more rugged and popular with cyclists. Passes through forest and farmland along the shores of New London Bay. Loops of 6 km and 8 km. BLUE trail in image. Note: As of Spring 2018, this trail is being refurbished and might be closed. Cavendish Beach. Popular beach, can be runnable depending on conditions. Gulf Shore Way. Paved, multi-use trail of up to 10 km toward Noth Rustico. See our separate route. 2.3 km one-way. Numerous add-on options.